Rock ‘n Roll Hall of Famer Gregg Allman is both a founding member of one of the biggest and most important American bands of all time, the still-active and thriving Allman Brothers Band, and a critically acclaimed solo talent, who currently records and tours with ‘Gregg Allman & Friends.’ A natural artist gifted with a beautifully soulful and distinctive voice as well as brilliant keyboard and guitar expertise, Allman is a legendary performer who, more than thirty years down the road, still loves making music as much as ever. At the start of his enduring career, Gregg Allman and brother Duane put together a number of different groups, including their very first professional ones, The Allman Joys, and The Hour Glass. Whatever the configuration, Gregg’s powerful lead vocals, emerging songwriting and keyboard prowess perfectly complemented Duane’s now legendary guitar virtuosity. In 1969, their brotherhood made history with the formation of the massively influential act that both kick-started the entire genre of Southern Rock and defined an era of ‘70s rock ‘n roll with its freewheeling yet musically masterful sound, The Allman Brothers Band. The band’s unique amalgam of rock, blues, country and even jazz flourishes expanded the boundaries of rock music, and their signature extended onstage jamming set new standards for live concert performance. In addition to his singing and playing, Gregg wrote many of their most memorable signature hits, including the classics “Whipping Post” and “Dreams” from their self-titled debut album, and “Midnight Rider” and “Please Call Home” from their second LP, Idlewild South. In 1971, at the height of fame, and just two weeks after their legendary live record At Fillmore East was certified Gold, The Allman Brothers Band suffered the tragic and untimely passing of Duane Allman, and the very next year, of bassist Berry Oakley. Despite the losses, Gregg dedicated himself to keeping The Allman Brothers tradition alive, and to this day, the band remains a musical powerhouse, acclaimed both on record and onstage. In addition to Gregg, original members Butch Trucks and Jaimoe are still brothers in arms. 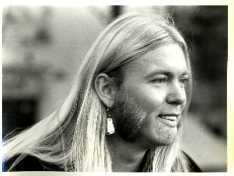 The first of Gregg Allman’s six albums to date outside of his work with ABB, Laid Back, was released in 1973, the same year that The Allman Brothers’ monstrously successful Brothers & Sisters topped the album charts. 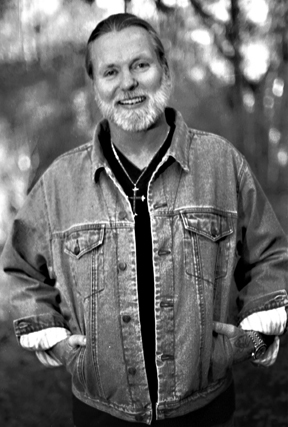 Laid Back’s subtly textured, eclectic mix of rock, folk, R&B and gospel inflections drew rave reviews and instantly put Gregg on the map as an accomplished touring solo artist. Subsequent solo releases include the live Gregg Allman Tour ’74, (recorded at Carnegie Hall) and 1977’s Playin’ Up A Storm (which also featured the musical artistry of greats Dr. John and Little Feat’s Bill Payne). In 1987 Gregg released his second gold album I’m No Angel, which generated a #1 Album Radio hit with the unforgettable title track, a self-meditation on Allman’s often bad-boy ways. After that hit’s follow-up, 1988’s After The Bullets Fly, Gregg Allman directed his energy to the reformation of the ABB. That effort resulted in multiple Grammy nominations and The Allman Brothers Band’s induction into the Rock ‘n Roll Hall of Fame. In 1997 Gregg released Searching For Simplicity, the album he feels represents some of his very best work. “I really took my time with that one,” says Gregg, “It took me three years just to write songs and gather the material…I put the record together in a manner so that each tune knocked my socks off.” The making of Searching For Simplicity also put Allman together with the Alameda All-Stars, a hardworking crew of San Francisco-based players who have formed the backbone of ‘Gregg Allman & Friends’ ever since. 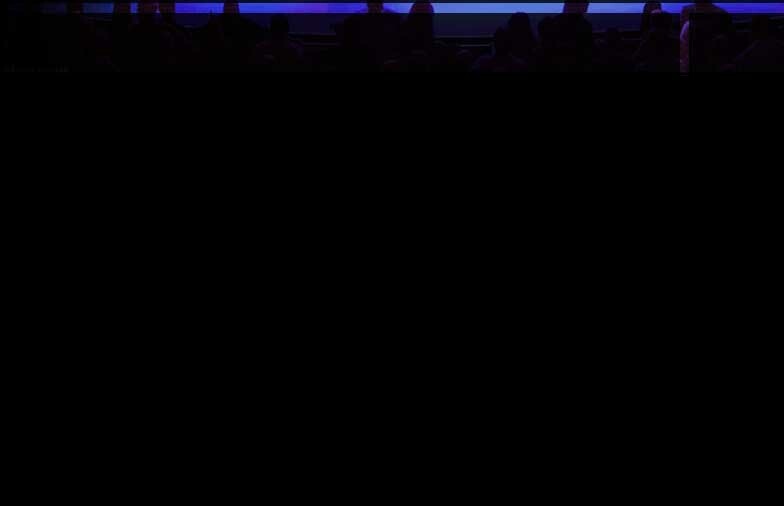 Currently performing with Gregg in 2001-2 are: Tommy Miller and Mark McGee of the All-Stars; Floyd Miles, who introduced a young Gregg to R & B, soul and the blues; Bill Stewart, who recorded with Gregg in the 70’s and 90’s; Danny Louis, from the Warren Haynes Band; and the New York horn section of Richard Boulger, Jay Collins, and Chris Karlic. Even with many familiar faces surrounding him in ‘Gregg Allman & Friends,’ there’s still a major difference for Gregg between his solo endeavors and the Allman Brothers Band efforts. “There’s only one cook in the kitchen,” he says, “only one chef. I let the soloists do their thing – you’ve gotta let a man do a solo the way he wants – but as far as picking the tunes and working on the arrangements, I take full responsibility for it.” On Searching For Simplicity, as well as his other solo albums and tours, Gregg Allman has indeed found a recipe that works. Gregg Allman is a survivor, having weathered many tragedies in life-- as well as the occasional pitfalls and detours of a full-tilt rock ‘n roll lifestyle-- and continued on to grow both personally and musically. Having searched for blissful simplicity in life as in art, Gregg Allman now lives peacefully in Georgia with his dogs and several “cherry” Harley Davidson motorcycles. Simple as that. For more photos of Gregg click here. It is with deep sadness that we announce that Gregg Allman, a founding member of The Allman Brothers Band, passed away peacefully at his home in Savannah, Georgia. Gregg struggled with many health issues over the past several years. During that time, Gregg considered being on the road playing music with his brothers and solo band for his beloved fans, essential medicine for his soul. Playing music lifted him up and kept him going during the toughest of times. Gregg is survived by his wife, Shannon Allman, his children, Devon, Elijah Blue, Delilah Island Kurtom and Layla Brooklyn Allman; 3 grandchildren, his niece, Galadrielle Allman, lifelong friend Chank Middleton, and a large extended family. The family will release a statement soon, but for now ask for privacy during this very difficult time. 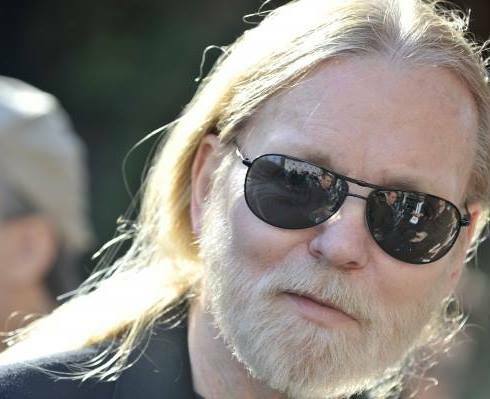 The family suggests that tributes to Gregg can be made to the Gregg Allman Scholarship Fund at The University of Georgia or the Allman/Lehman Endowed Scholarship at Syracuse University. Read more about the remarkable legacy of Gregg Allman. Gregg Allman has announced 2017 tour dates starting in June, multi-night residencies in Macon, Athens and Savannah, GA, New York, and Birmingham, AL. Some of these dates are rescheduled from earlier shows - if you are holding tickets, check with the venue web site or box office for ticketing info. Come on out and show Gregory some love! Gregg Allman has cancelled all tour dates starting with his appearance at Scranton, PA's Peach Music Festival on August 12 and going through the Clearwater, FL Jazz Festival on October 16 due to serious health issues. He's currently under his doctor's care at the Mayo Clinic. "I want to thank my fans and friends for supporting me while I rest up and focus on getting better and back on the road as soon as I can," Allman says. "I've been working hard with my band, my pride and joy, to play our music for everyone. We'll see y'all in October." Allman's first date back will be a performance at his very own Laid Back Festival at the Lakewood Amphitheatre in Atlanta, GA, on October 29. All dates after that are currently confirmed to take place. Gregg Allman is to receive the Living Legend award at the Classic Rock Roll Of Honour ceremony on Tuesday, November 4 at the Avalon in Hollywood. Previous recipients of the award include Black Sabbath, Jeff Beck, Lemmy, Jimmy Page and Alice Cooper. “I am so very honoured to be receiving this award from Classic Rock", says Allman. "The magazine is one of my favourites and they are always so generous to me and the Brothers." "Where can you start with Gregg Allman? ", says Classic Rock editor Siân Llewellyn. "The rock'n'roll world would be a very different (and far lesser) place without him. As a founding member and guiding light of the Allman Brothers Band and a hugely influential solo artist, Gregg has touched the lives of rock fans all over the globe for over four decades. I'm thrilled that we can call him Classic Rock Magazine's Living Legend 2014." 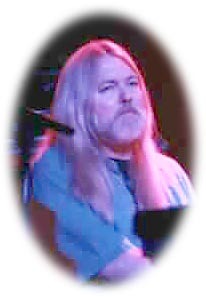 Greg Allman was inducted into the Rock And Roll Hall Of Fame in 1995 alongside the Allman Brothers band, and in 2012 the group was honoured with the Lifetime Achievement Award at the 54th Annual Grammys. Only last month, the band's classic At Fillmore East (now available as an expanded set) was described by Classic Rock as "a cast-iron classic and the ultimate double-live album". This is the 10th anniversary of the Class Rock Roll Of Honour, and the first time the event has been hosted outside London. A once-in-a-lifetime event for a once-in-a-lifetime individual, the Love for Levon benefit concert pays tribute to the incomparable Levon Helm, drummer and vocalist for The Band. With a star-studded, legendary lineup that includes Gregg Allman, Warren Haynes, Roger Waters, Lucinda Williams, Grace Potter, John Mayer, My Morning Jacket, Dierks Bentley, Robert Randolph, The Levon Helm Band, and many, many more. Watch the PREMIERE February 17th on AXS TV.